Evolve Apparel – Evolving The Shopping Experience! Hailing from Downtown Los Angeles, Evolve Apparel is a clothing manufacturer and distributor specializing in the latest women’s fashion trends. With many years of experience in manufacturing, Evolve continues to work on private label programs with all of the brick and mortars, as well as online retailers. Because the shopping experience is forever changing, Evolve is now expanding to become your premiere online wholesale fashion destination. Their B2B platform, Wholesale Clothing Deals (WCD), caters to retailers, big and small over the world, giving them access to thousands of products instantly. Evolve also distributes their products on various online platforms and marketplaces such as Amazon, Ebay, Bluefly, Jet and others. Additionally, Evolve works with several leading flash sale companies including Zulily, Hautelook, Mysale to name a few. 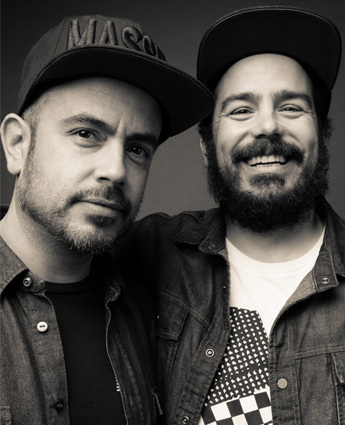 Evolve Apparel was introduced to the world by brothers Elan & Ayton Atias. Elan, coming from an established career as a singer/songwriter, recording and touring artist, wanted to venture into another creative endeavor. Elan called upon his brother, Ayton, who had been in the textile production world manufacturing for all the major brands across the globe for 20 plus years. Together they formed Evolve Apparel which has grown to become the parent company of various other brands such as: Marcelle Margaux, Christine V., Urban Love, and Jojo Belle. These two have not only established a name for themselves, but have also built their brands by evolving the way this business is seen.